“This train is headed towards Boston” yells the conductor as he slams the Amtrack train door closed. My eyes dart back to my computer screen as the WiFi signal flashes that there is a connection. I have two and a half hours on this train with WiFi, so I expect to get a lot of work done. As the train begins to leave Portland, Maine, my mind wanders. The wobbles of entrepreneurship race through my mind, but I dismiss it. Instead of diving straight into an assignment for a client, I’m going to take this morning to work on something different. I want to share what entrepreneurship looks like for me and how I embrace the wobbles whenever I feel the presence. As the train begins climbing in speed, my fingers start to type. 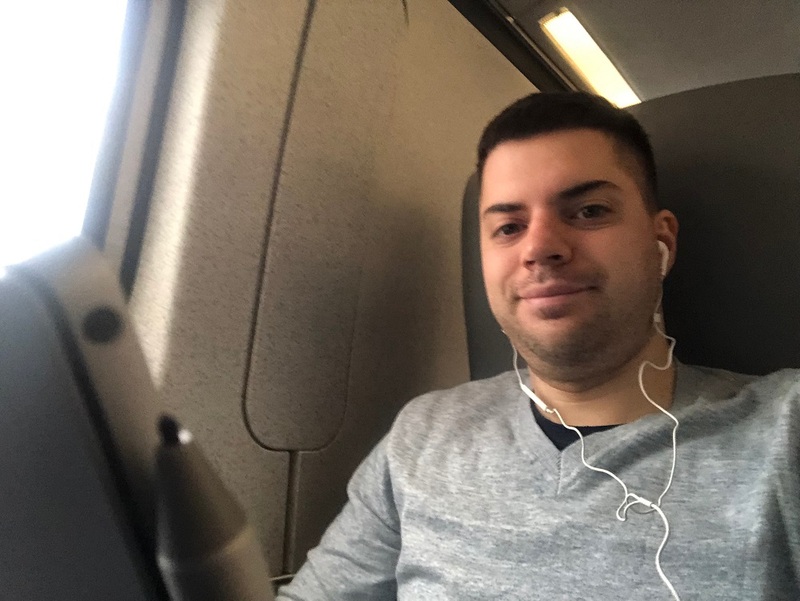 Here is a picture of me on the train as I head to Boston. I look bad because I’m incredibly tired, so it is what it is. Currently, I have two clients for SEO. There was a third, but I let them go which was a tough decision for me in February. Their numbers via SEO were increasing each month since the start of the contract, but I felt a lot of stress towards the end. They were great people, but professionally, I was spending more time on their account handling items that were not SEO focused. I hate having meetings for the sake of meetings. I would come in with an agenda to go over items, but the conference would usually take a turn for me to look at an issue that was not SEO related. Spending time writing up email summaries of those meetings, having phone calls, going over a report that was obsolete since too much time passed, and responding to different email threads where the answer was hard to find since the threads had no subject line. My other two accounts were beginning to suffer in their results because my attention and focus were on this one client. I decided to cut my ties and leave an additional four thousand dollars on the table which gave me the wobbles. Dropping a client was a first for me in the two years of my business. Admittingly, I could have handled the process better as I let them know my decision through an email, but I needed to keep a written record of my plans. To help them out after that email notice, I gave them three free weeks of work where I made many content changes to their site, fixed a spam issue on one of their forms, and much more. The wobbles set in a month later when I would typically receive a PayPal payment from them, but obviously, I did not. The anxious feeling of what would happen if my other two accounts suddenly dropped me was settling in too. I was screwing up bad on my other two accounts, so I put my focus on improving their results. After a month of getting their accounts back up and running, I was ready to start The Stadium Reviews. I enjoy visiting baseball ballparks for fun. New cities, different teams, and a fresh atmosphere of fans excite me. I’ve been building a new website where I hope to drive thousands of daily visits to each day. My goal is to have Google Ads run on the site when I hit a certain threshold in traffic to monetize this project. TM Blast financed this project with over $2k from the initial start date in February. The fees so far include the website, hosting, website security, baseball pictures, and a specific SEO tool that will continue to raise this expense each month by $300. Google AdSense will act as a new source of revenue for TM Blast one day. In 2019, 95% of my income comes from SEO Consulting. SEO Expert Services generates revenue roughly when I work, so my growth comes from additional working hours. 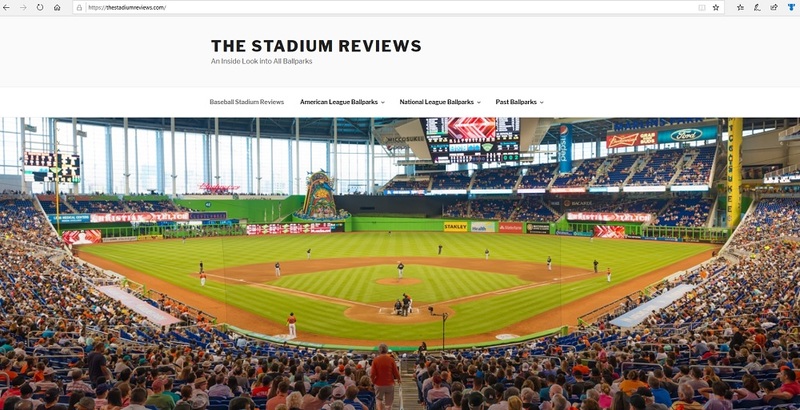 My goal is to have the Stadium Reviews make anywhere between 10-15% of my revenue through passive income one day. Passive income can help me spend more time on my clients and not worry about taking on more projects to make more money to get new SEO tools etc. I enjoy public speaking to a degree. It’s mysterious because I’m an introvert and hate with a passion for participating in large social events. When it comes to chatting about SEO though, I feel relaxed. I lectured at the Chamber of Commerce last week and have another event at Boston University soon. I want these speaking events to materialize into something for my business so I can do these more often. Whether someone signs up for my commission tools or hires me to work on their SEO, I would gladly take as a success. 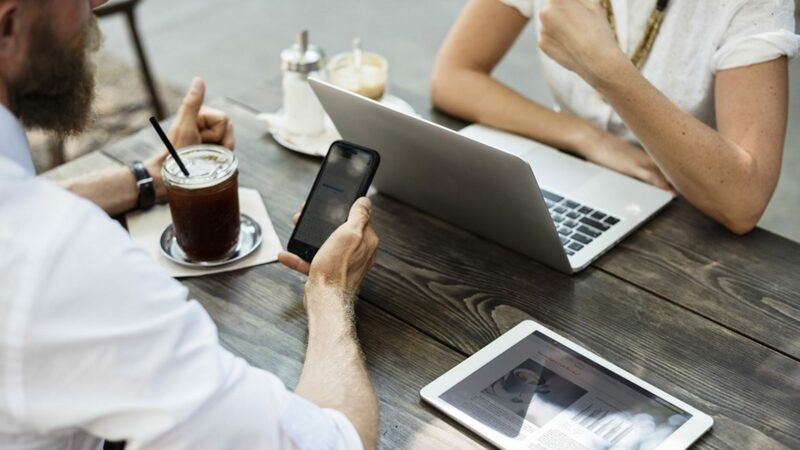 The purpose of me speaking is not to have a specific ROI, but it would be nice to make something from my time that can continue growing my business. I have the wobbles after I speak because I think I may have wasted my time, but that comes with the territory. I’ve spent a lot of time watching CNN on the Sling app on my iPhone for the past year and a half. Honestly, I hate politics and everything about what is happening in the United States with politicians. I would find myself watching the app for hours, reading posts about Robert Mueller’s report, and so much more. I knew this was not healthy, so I made a promise to myself to watch less news in 2019. With the disappearance of CNN from my daily feed, I’m listening to audiobooks on Audible as I work on SEO. The first book I listened to was the $100 Startup by Chris Guillebeau. The second book I’m listening to is the 4 Hour Work Week by Tim Ferris. I enjoy listening to audiobooks because I’m absorbing practical insight that applies to my two projects. Lastly, I’m reading an actual book called Lab Rats by Dan Lyons. I enjoy reading about business. There are times where I tune in and tune out during the books, but that’s probably natural for most readers. I enjoy learning tips from others when it comes to entrepreneurship. “Next stop, Boston,” comes from the ticket handler on the train as he walks by me. Wow, two hours have already gone by, and I feel like I just began working on this draft. I’ll polish this rough draft into a coherent (ish) post and share it later. My writing is weak, but it’s something I’m working on getting better at. I see the skyline of Boston out in the distance on the train as it approaches North Station. It’s a beautiful and sunny St. Patrick’s day in Boston. Many people are on the train are ready to celebrate the day which I can’t blame them. Boston is incredible for this holiday tradition, so have fun! I went on the previous night, so I’m ready to make Sunday a day of work. Once I get off the train, I begin walking home from North Station. My mind is racing with ideas on TM Blast, a client’s website, and The Stadium Reviews. I have so many thoughts that I’m eager to come home and work on them. As a wobble creeps into my mind, i tell myself that I believe in me. My source of inspiration came from this reddit post.